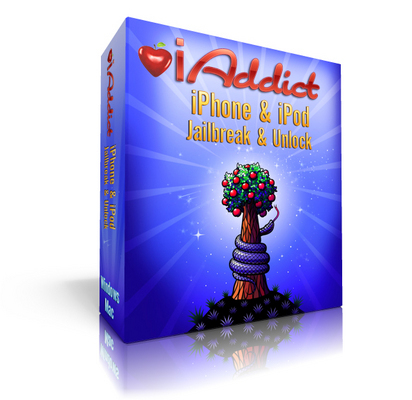 If you are addicted to iPhone or iPod, this software iAddict is for you! Free Your iPhone! Use your iPhone to its max! This software will Jailbreak and Unlock Any iPhone and iPod. FAST DELIVERY! After payment, you will receive a download link in your email instantly. For Windows and Mac users! Its easy! Anyone can do it in 10-15 Min! Is your iPhone just like anyone elses? Cant make it run programs that you want because it is locked? It should do what you want it to or there is NO POINT to own an iPhone! 110 satisfaction guaranteed or your money back! 100 success rate! Works every time! Thats right. Now you can unlock your iPhone! No more turbo SIM that decreases your Internet connection speed and affect your sound quality. Now your iPhone can work even better - with any network! 100 software solution. No hardware, no Turbo SIM, no soldering needed! Works with Any GSM Carrier Worldwide including Vodafone, Orange, T-Mobile, Fido, Rogers and many more. No Boundary, no limit! Enable instant messengers including Yahoo! MSN, etc. Enable useful business features: PDF, word, excel and other office formats. You can transfer your eBooks to your iPhone. Or, download hundreds of Free eBooks & comic books as you wish! An iPhone can only be unlocked after it is jailbroken. This applies to all iPhone models. WHY JAILBREAK? Jailbreak allows root access to your iphone and iPod Touch. It removes limitation set by Apple and lets users to bypass Apples official distribution mechanism (App Store) and run unofficial code or programs on their iPhones. And why UNLOCK? Unlocking is different from jailbreaking. Unlocking an iPhone will open up the iPhones modem to accept SIM cards from other phone service companies. Example: you bought an AT&T iPhone 3GS, but you want to use T-Mobiles service, so you will have to unlock it. Most phone companies charge up to 30Euro or US$39 for unlocking. You dont have to pay this kind of money. This software can do the same thing - At No Additional Charge. 1. Use any GSM service provider in the world or the network in the country you want/ are traveling to! 2. No more International Roaming Charges to pay. You can save up to hundreds of dollars on monthly phone bill. 3. Increase your iPhone resale value. An unlocked iPhone allows the new buyer to save a lot of money by switching to a cheaper service provider. Thus, you can sell it at a higher price. 4. Once unlocked, countless of third party software (games, ringtones & applications) can be installed through Cydia. 5. Dont be chained to a long-term contract! Some of you are paying your phone company through the nose (Almost $1000 USD)! Save your money by using any contract or even prepaid! Q: Can this product work with any GSM network? A: Yes, our product works with all GSM network worldwide. We guarantee you it will work or your money back. Q: My contract with AT&T will expire in two months. Can I unlock my phone & still use the AT&T SIM card? A: Yes, you can. You can use any SIM card you want. Q: Can it unlock and jailbreak the iphone 2g 3g from AT&T, when it is running on Firmware 3.0.1? Q: Will it void my warranty? A: No, it will not void your warranty. This is a software its not a hardware. Just restore your phone to factory settings & bring it in. Apple will never know. Q. Im not good at technical. Are you sure I can do it? A: Yes, we are sure. If you can switch on your iPhone, you can jailbreak and unlock it! We know our non-technical users will want this to be easy so it was created EASY TO USE in mind. Hundreds of customers with no computer/ technical knowledge have done it so can you. Q: How can I know which Firmware version my iPhone is having? Q: Is this an online download? Bonus 2: More than 590 ringtones from songs, musics, movies, and more. You can create your own ringtones and assign them to your calander/ alarms/ sms too! Trick people with Spoof App - call anyone with any phone number you want! Buy with complete confidence! We have hundreds of happy customers from worldwide. Your satisfaction is 110 guaranteed or your money back!